Westville House is the leading co-educational preparatory school in Ilkley and the Wharfe Valley. 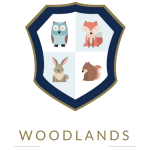 The school is values driven, delivering outstanding education in a stimulating, happy and engaging environment that prepares aspirational, assured, creative and resilient children for life beyond Westville. – Nurture well-rounded and happy children prepared for life beyond Westville.